Grosgrain: Becky Mae Poppy Fields Necklace and Earring Set GUEST GIVEAWAY!!!! CLOSED. Becky Mae Poppy Fields Necklace and Earring Set GUEST GIVEAWAY!!!! CLOSED. Red and poppies go hand in hand. 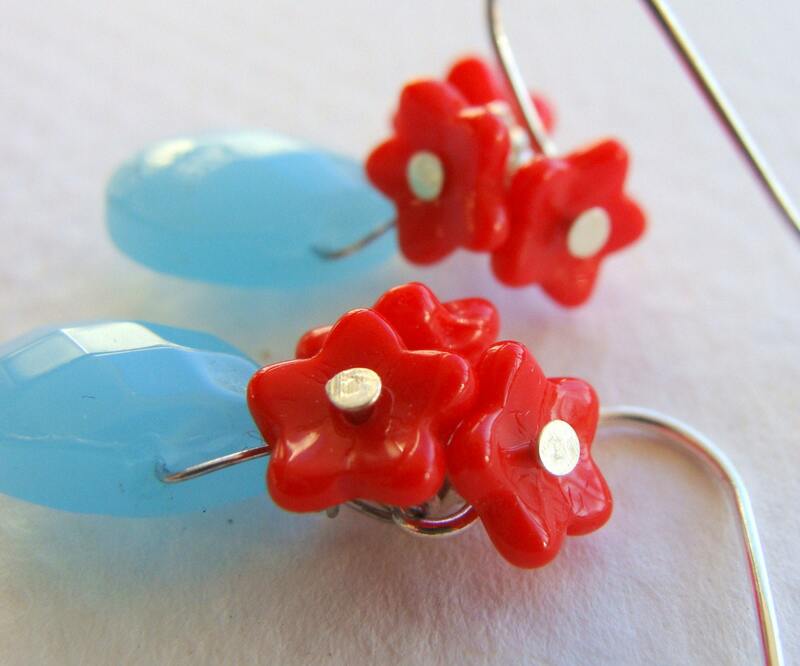 I love the way a red poppy earring POP with a white dress or shirt. If you too love the look of red jewelry please take a look at Becky Mae. Becky will be offering her Poppy Fields Necklace and Earring Set featured at the top, second photo and bottom of this post. This handmade silver plated necklace has a cluster of red vintage czech glass beads with silver leaves. The chain is approx 16 inches and has a lobster claw clasp. Said Becky, "I love poppies. In November look for poppy earrings, poppy necklaces, poppy phone charms, poppy hair clips and whatever else I can come up with that is poppy!" And check out these matching handmade poppy earrings. Made with vintage czech red glass beads, silver plated leaves, wire is nickle free. Dangle approx 1 off the ear. 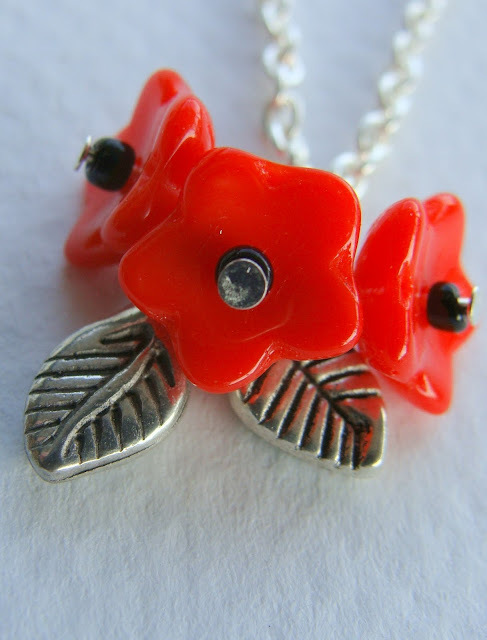 Would look really cute with my signature poppy fields necklace. Becky also designs handmade purses, messenger bags and totes made with vintage fabrics with unique designs. Each piece of fabric is hand-chosen by the artist herself. 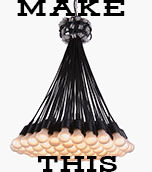 Therefore, this makes each purse/bag/tote unique in design and no two are alike. Each purse/bag/tote is lined with satin/or another fabric and some come with a pocket for those hard-to-find items (ON request only option). 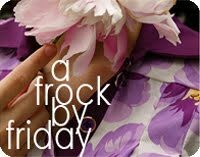 For design inspiration and daily updates check out Becky's blog. If you'd like to win this necklace and earring set just link to this post either using the 'create a link' at the bottom of this post or simply creating a post on your blog and including this link. so cute...I actually just made a purse that would match the necklace perfectly!! I love these! 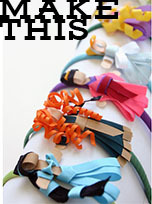 I blogged about it! Those are just gorgeous! I would love to win a one of those! I linked it to my blog. I pray I win! thank you so much for featuring me! Poppies Rock! I can't wait to share my beautiful creations with some lucky winner! Those designs are great. Would you be interested in guest blogging on my blog. Maybe you could write about taking your own great pics to post on your blog or to sale your stuff! Great giveaway! 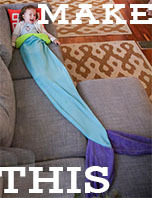 I posted a link on my sidebar. I hope to win one of these beautiful jewel. Linked to it! What lovely jewelry! I linked too...very unique and fabulous! I linked too! Very sweet and simple and fabulous! I have posted about it. They are so simple and beautiful. ♥♥♥♥SOOOOOO Beautiful,cute,and stylish!!!!! !♥♥♥♥I linked!!!!! ;))Pleas pick me!!!!!! Linked - those poppies are SO pretty! Love 'em! I linked it! I LOVE THIS! very nice, I like red color a lot. That flower looks very good at chain and attractive too. In vintage yard I visited a very nice gold collection like this,..